Please call our office 24 hours before your appointment to cancel or reschedule. Thank you. A parent or guardian must accompany all patients under the age of 18 years of age at the consultation visit. A pre-operative consultation and physical examination is mandatory for patients undergoing IV anesthesia for surgery. Do not eat or drink 8 hours prior to your surgery. You will also need an adult to drive you home. Please alert the office if you have a medical condition that may be of concern prior to surgery (i.e. diabetes, high blood pressure, artificial heart valves and joints, rheumatic fever, etc.) or if you are currently taking any medication (i.e. heart medications, aspirin, anticoagulant therapy, etc.). If your dentist or physician has taken x-rays, you may request that they be forwarded to our office. If there is not enough time to do that, then please pick them up and bring them to our office. If additional films are necessary, they can be taken at our facility. 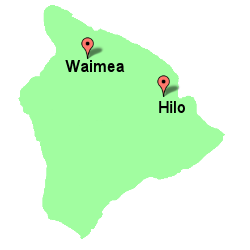 Dr. Greco’s Hiloand Waimea offices are open Monday – Friday from 8 am until 5 pm. We will schedule your appointment as promptly as possible. If you have pain or an emergency situation, every attempt will be made to see you that day. We will always invest as much time into every patient as is necessary to deliver high quality care. This dedication, in combination with sudden and unexpected emergencies, may result in the office running behind schedule. If you become excessively inconvenienced, please accept our sincere apologies in advance. We will be happy to reschedule your appointment as soon as possible. Use this form to send us an email and we'll get back to you, asap.